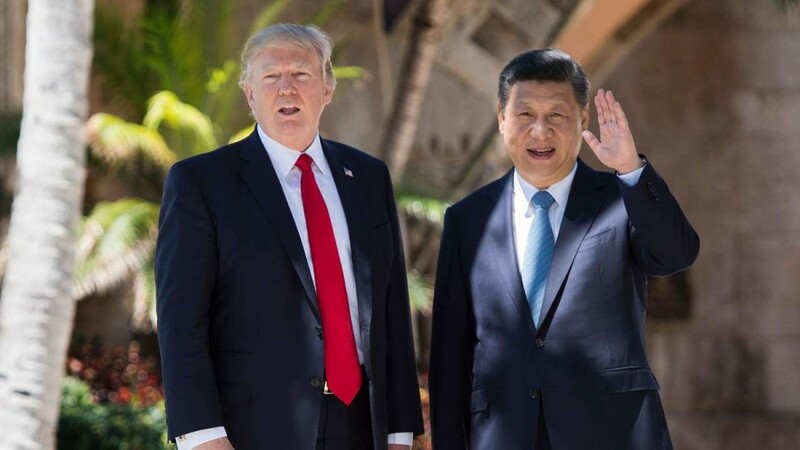 President Donald J. Trump (left) and his Chinese counterpart Xi Jinping in Florida. China’s top envoy called on the United States to remain “cool-headed” Thursday as Washington threatened to raise the tariff rate on the next $200 billion of Chinese imports. Slapping additional tariffs on Chinese imports — 60 percent of which are made by foreign firms, including American companies — will only raise costs for domestic U.S. consumers, said Chinese Foreign Minister Wang Yi. “We hope that the trade policy makers in the United States will be cool-headed and listen to the voice of U.S. consumers… and also pay attention to the voice in the international community,” Wang said. “The U.S. has no regard for the world… playing both soft and hard ball with China will not have any effect, and only serve to disappoint the countries and territories opposed to a trade war,” China’s Ministry of Commerce said in a statement, adding that it still hopes to turn the situation around. President Donald Trump asked the U.S. Trade Representative to consider increasing the proposed tariffs to 25 percent from the planned 10 percent, USTR Robert Lighthizer said on Wednesday. “We have been very clear about the specific changes China should undertake. Regrettably, instead of changing its harmful behaviour, China has illegally retaliated against US workers, farmers, ranchers and businesses,” Lighthizer said in a statement. Officials, however, downplayed suggestions the move was intended to compensate for the recent decline in the value of the Chinese currency, which has threatened to take much of the sting out of Trump’s tariffs by making imports cheaper. The U.S. dollar has been strengthening since April as the central bank has been raising lending rates, which draws investors looking for higher returns. Trump has threatened to slap tariffs on virtually all of China’s exports to the United States. Wang, who is in Singapore for a foreign ministers’ meeting, said the spat will not affect diplomatic cooperation with Washington on North Korea. In a tweet last month, Trump suggested that China could be undermining a North Korean denuclearisation deal because of the ongoing trade war. The U.S. has already imposed 25 percent tariffs on $34 billion in Chinese goods, with another $16 billion to be targeted in coming weeks. Much of American industry and many members of Trump’s own Republican Party have expressed outrage but have so far been unable to thwart Trump’s trade policies. The U.S. Senate last week passed legislation which if enacted would lower trade barriers on hundreds of Chinese imports. Trump and senior administration officials believe the volume of U.S. imports and vigorous health of the American economy give Washington an advantage in the current confrontation. But Fred Bergsten, founding director of the Peterson Institute for International Economics, told CNBC that China would be able to absorb blows more easily than Washington.